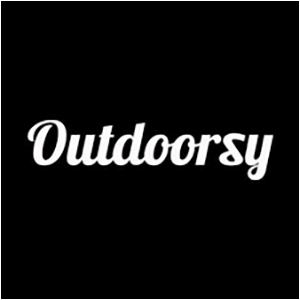 Outdoorsy is like Airbnb with so many options for cool places to stay that the relative uniqueness of the option gets lost on you unless you really think about it. Staying the night in an RV is an adventure. Many adventurous types have taken the plunge to buy their own vehicle, only to let it sit in their driveway unused. Owning an RV is a commitment. Renting one is fun. On Outdoorsy, you can either rent an RV from an owner, or, if you own the vehicle yourself, rent it out to others. It’s like Airbnb. It makes perfect sense, and it’s surprising that it hasn’t existed until now. 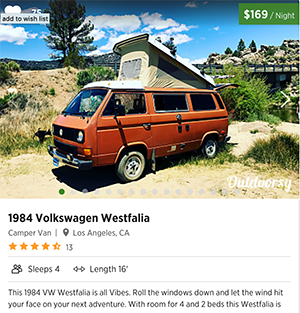 As on Airbnb, the prices for RVs on Outdoorsy vary widely, as do the quality of the offers. There are small campers, large RVs, and everything in between. There are also specific parts available for rent. There’s also helpful descriptions about the pick-up location and owners. Of course, there are also reviews. 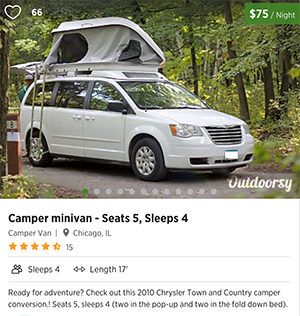 Outdoorsy claims to be the “largest and most trustworthy RV rental marketplace on the planet,” which it backs up with a strong customer service team, insurance offerings, and 24/7 hour roadside assistance. Whether or not the company stays as helpful as they make themselves out to be remains to be tested as its user base grows, but there are plenty of offerings available on the platform already and it seems to be working smoothly. If you want to test out an alternative style of vacation, take a look around Outdoorsy.